Fangirl is the story of Cather and her freshman year of college. She and her twin, Wren, are opposites in many ways. Wren loses herself in alcohol and maintains an ongoing fight throughout much of the story, while Cath finds solace in her writing, primarily in writing her fanfic of a popular series about Simon Snow (think Harry Potter). Cath has thousands of hits on Carry On, and while she is an English major and a talented writer, she has a hard time writing anything but her fanfic novel. Along the way, she becomes good friends her her scary roommate and a boy named Levi. Her manic father has a breakdown, her estranged mother comes back into her life, and her writing partner takes credit for the writing she contributed to. In the end, all is right with the world. It has a happy ending, not completely unexpected, but with a few surprises here and there. What I liked about this book was the character description. Rowell puts so much emphasis on her characters’ clothing and hairstyles, it’s like you can see them before you. Before I (like a true fangirl) google imaged the characters, I had a clear picture of what they looked like and who would play them in the movie version (if there was one). It reminded me of when I was younger and wrote my own stories (loosely based on the characters of The Babysitters’ Club). I let my mom read a story once, and she told me she there was more description of the character’s appearance than the rest of the story. Luckily, Rowell isn’t that obsessive, and she wrote well-developed characters, beyond their appearances. What I didn’t like about this book was that it wasn’t Eleanor & Park. This story took me nearly a month, whereas E&P took me a day. Yes, it was longer (twice as long, maybe), but it just didn’t hold my attention. In some places, the Carry On and the Simon Snow novel paralleled Cath’s life, but I didn’t always catch on to that. There were sections with several pages of 8 point font where Cath was reading her own fanfic. I liked Harry Potter, but that’s not typically my genre. I enjoyed the story while I was reading it, but I was also happy when it was over. It dragged on, and I’m ready for a couple fast reads to catch up on my challenge! This story is told through two perspectives. Sometimes you are seeing what Eleanor sees, and sometimes Park. 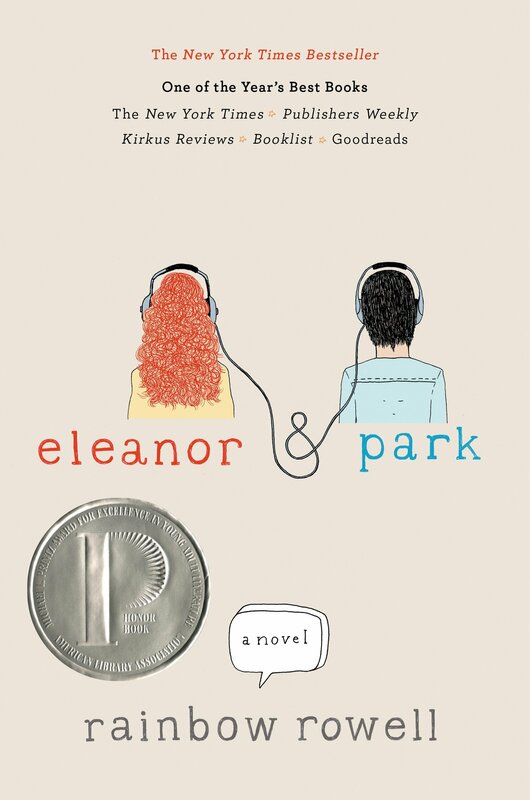 Eleanor and Park are two socially awkward, misfit juniors in an Oklahoma high school in 1986. Eleanor is new, and has bright orange hair. She’s overweight, dirt poor, and lives with her mom, younger siblings, and an abusive step father. She has no desire to fit in, nor does she have the financial means to. Park, on the other hand, comes from a financially and emotionally stable family. He is biracial (half Korean) and bullied because of his race. Eleanor and Park fall in love over comic books and music. As their relationship grows, you start to remember the person you liked in high school, and what it was like to hold someone’s hand for the first time. I found myself grinning like a dumbass while reading this book (which, by the way, I finished in one day, while ignoring my family and other responsibilities as a wife, mother, and teacher). It was just that good. What I liked about this book was the raw emotion you feel while reading it. You want to scoot over on the bus for Eleanor, and urge her to find a toothbrush so Park doesn’t smell her breath. You’re also rooting for Park, and in bizarro world, you are attracted to a fictional character. Yes, I said it. It’s weird, but read about this hapa (half Korean, half white) guy, with his martial arts body, black eyeliner, taste in music, and sensitivity to Eleanor’s needs, and tell me it doesn’t cross your mind. What I didn’t like about this book was the raw emotion you feel while reading it. You are rooting for Eleanor through good and bad, and there is a lot of bad. 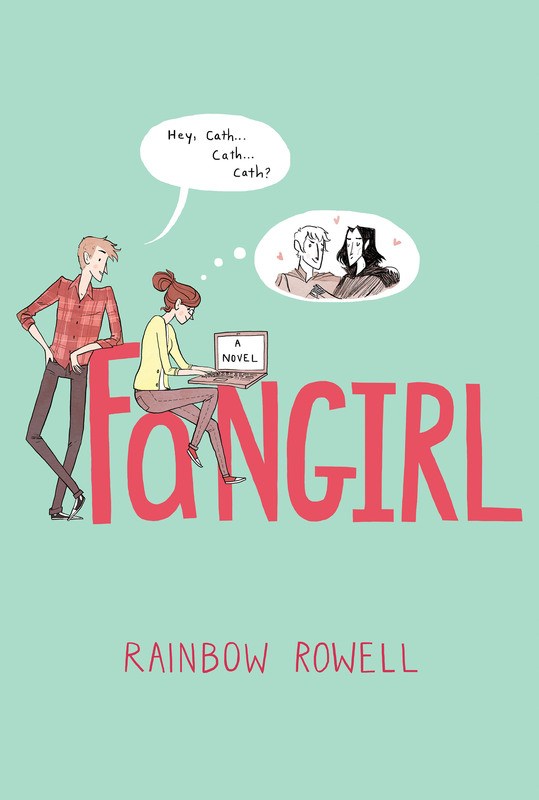 I’m thinking I might have to buy or borrow Fangirl, because this book made me a fan of Rainbow Rowell.